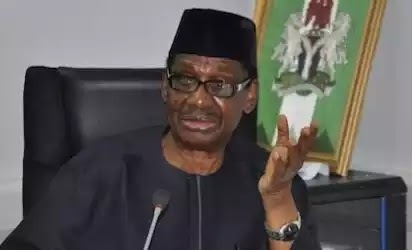 In a statement by its spokesman, Senator Aliyu Sabi Abdullahi, the Senate stated that Sagay was fond of using every opportunity he has to make public speeches to disparage the Federal Legislature, by using uncouth and unprintable words to describe the legislators and the institution they represent. Abdullahi noted that, while the legislators had ignored past statements made by the Professor of law, his recent speech at a public lecture in Lagos organized by the Society of International Law, where he gave false details about the salary and allowances of the legislators and the various bills passed bordered on inciting members of the public against the legislators and deliberately circulating hate speech; which the government is working hard to contain. showed that he just deliberately set out to undermine the legislative institution and lower its reputation in the estimation of right thinking members of the society and we therefore believe we should put him in his rightful place. charged with the responsibility of fixing salaries and allowances of all public officials. Protection Bill, Witness Protection Bill, Mutual Legal Assistance in Criminal Matters Bill and the Nigerian Financial Intelligence Agency Bill. The Senate, therefore, called on the President to caution Sagay and stop him from further creating needless tension in the relationship between the executive and the legislature.